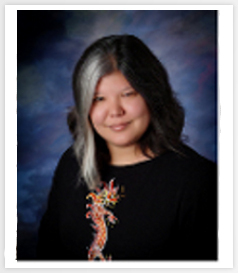 I am honoured to have the opportunity to interview the wonderful and extremely talented, Julie Kagawa, author of the ever popular The Iron Fey and her newest series, Blood of Eden and The Iron Fey spin-off, Call of the Forgotten. 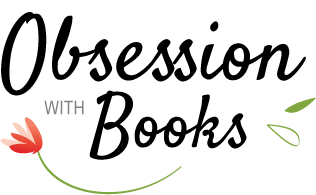 Many thanks to Morey Media and Harlequin Teen Australia for this opportunity. I have just read and loved The Lost Prince - was it difficult starting a spin-off series after the success you have had with The Iron Fey and what inspired you? Thank you! I think the most difficult thing about beginning a spin off series is returning to the world with new characters. In this case, Ethan isn't completely new, but he is no longer that scared little boy we saw in The Iron King. I know many readers will be looking for the characters from the original series, and while they do make appearances, this is Ethan Chase's story, and it is time to pass the torch onto another set of heroes. I only hope Ethan, Kenzie, and Keirran will earn the same place in reader's hearts as Meghan, Ash, and Puck did in the Iron King. In The Lost Prince was there a particular scene or character you found challenging to write? Keirran, in particular, was a bit of a challenge. Because of his infamous father (which I won't name in an attempt to avoid spoilers), I wanted him to be different, his own person. And Ethan already had the "angry and brooding" thing down pat, so Keirran had to be interesting without resorting to angst. Readers of the original series might be disappointed that he isn't like his dad, but that's the point; Keirran is not his father. What three words would you use to describe Ethan Chase? Have you developed a particular fondness to a certain character as yet? In The Lost Prince, I'm quite fond of Keirran, because of his history and certain things I cannot go into. Keirran will play a crucial role in the series, and his friendship with Ethan will go down some very twisty paths. We'll have to see where the two end up when this is all over. Do you mind telling us how long it took you to write The Lost Prince? About five months for the first draft, than another couple months for the editing/rewriting. I'm kind of a geek in that much of my inspiration comes from anime and video games. I firmly believe that video games are just another medium for telling a story, and in these games you become the character, just like in books. There have been some games that have made me cry (Dragon's Age, FFX), and some that have been so inspiring and powerful all I wanted to do when I finished them was write a story as magnificently as that. And if that isn't a case against "all video games do is rot your brain," I don't know what is. My ideal day is when I sit down to write, and hit that zone when you're writing as fast as your fingers can move; when the characters take over and you're just along for the ride. And when you finally stop, you're amazed at how much you've written, because it really didn't feel like that at all. That's my ideal writing day. What is one important writing advice that you’d give our aspiring authors? Persist. Don't let anyone tell you you're too young or inexperienced or immature or whatever. Keep writing, keep practicing. Writing is a skill that has to be honed, just like any other craft; you're not automatically good at it. (At least, I never was.) Know that if you're serious about getting published, you're going to be rejected, probably many times. But remember that all published authors started exactly where you are right now. The only difference is that the published ones never gave up. Right now I'm working on the second book in the Call of the Forgotten series, and after that I will be starting on the third book in the Blood of Eden series. Thanks to Harlequin Teen Australia, we have 2 x finished copies of The Lost Prince to giveaway to a resident of Australia/New Zealand. 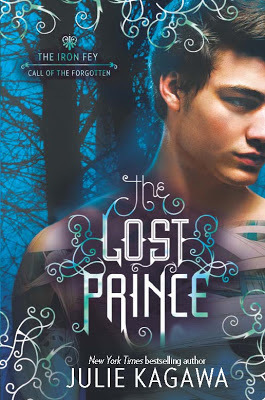 The Lost Prince will be released on the 1/11/2012 so a copy will be shipped after this date. To enter just follow the Rafflecopter below. Good luck & thank-you for stopping by! Great interview, Sharon. Thanks for the giveaway. Great interveiw! I can't wait to read The Lost prince! Thanks for the awesome giveaway! Do you need to have read the Iron Fey series first? Or can you understand the Lost Prince without having read The Iron Fey?